When the Amazon Echo launched last summer, I got one to see what all the buzz was about. Expecting yet another voice assistant, like the ones from Apple, Google, Microsoft, and others, I set up the Echo device in my kitchen. Right away, my kids were using Alexa to play music, my wife was asking for the weather, and I was adding things to a shopping list. We did all this effortlessly while moving about our daily activities – cooking, cleaning, doing homework. Alexa was always there, at our beck and call. What amazed me most was one evening during dinner we were listening to music and I couldn’t hear my daughter speaking. I didn’t want to get up to turn the music down. So, on a whim, I said from across the room “Alexa, turn it down”, thinking there’s no way Alexa could actually do this. Guess what, she did it. That feature alone made me love Alexa. Unlike Siri and other voice assistants, Alexa allows 3rd party companies, like Ooma, to develop new ways to use it. So my team brainstormed some ideas for things we might do. The geeks in us loved building apps for a new platform. We were pioneers. Being first on a nascent platform would create new opportunities for users to discover Ooma. 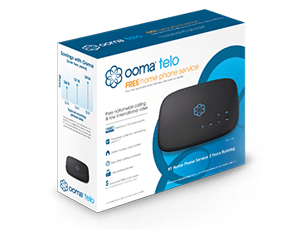 But more importantly, we realized we could make Ooma home phone service more convenient for customers who had an Echo. We identified a few key features: Allow Ooma customers to listen to voicemail over their Echo device. And allow Ooma customers to dial their phones using voice commands. We quickly put together a prototype. We tested it with co-workers, friends, and family, and then iterated to get the voice commands right. We shared it with Amazon and got excited reactions. It was a go! I’m proud to say that through hard work at Ooma and the support of Amazon, we were able to implement production versions of the features in a few short weeks, and then launch them at the Consumer Electronics Show in Las Vegas. 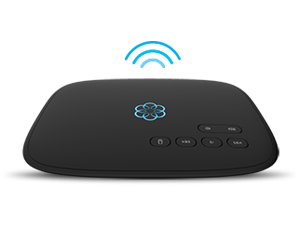 Ooma customers can now listen to their voicemail through the Echo device or a Fire TV. And any Echo owner, not just Ooma customers, can dial their phone using voice commands, using Alexa. To get started, go to your Alexa app on your smartphone, and search for Ooma in the “Skills” section. Ooma customers, remember to choose the “Login with existing account” option. We couldn’t do everything we envisioned. For example, although you can ask Alexa to dial your phone, you cannot use the Echo microphone and speaker to complete the call. We hope that in the future Amazon will open up the ability for us to make the Echo a speakerphone. We’ll be sure to update you if and when it does. In the mean time, thousands of people are already enjoying the Ooma skill, the very first communication service to launch on the Alexa platform. Congrats to the Ooma and Amazon teams who made this possible! I love that this functionality is available. The only problem? I can’t get it to work. I enable the skill in the Alexa app, login with my details and then enter the 4 digit code I was provided by the phone call. I got the email from Ooma saying it was enabled. When i try to check the voicemail it just says over and over that I need to login. Not sure what I’m doing wrong, or if it’s a bug? Hi Peter. Are you a current Ooma customer? If yes, when you login, you should select “login with existing account ” option and enter your normal Ooma logins. This may be why it’s not working for you. If the problem remains, please contact Customer Support at 1-888-711-6662. The Alexa Ooma skill set mentions that you may use a nickname like calling “mom”. It implys that you may train it to assign a name to a number. If so how is this accomplishe? Thad, This is a very nice feature. I would ask you to please consider expanding the hands free functionality further. I have a good friend, who does not have use of his hands. So it is good that he can place calls and listen to voicemail using Alexa (which he already owns). But this is not that useful for him without the ability to also put the phone on speakerphone. I understand Amazon does not open up the echo to be used as a speakerphone, but is there any way your Ooma handset or devices could offer this functionality independently? Ooma is in a unique position to make a difference in the disabled community. A feature such as this could provide a significant quality of life improvement for those without use of their hands, even opening up new job opportunities for them by being able to fully operate a phone. Hi Jorge. Thanks for the comment. We are working to expand the Amazon Echo functionality and will let you know as soon as we have any further updates. I’m with you Thad! When I first heard about the Echo/Ooma connection, the first thing I thought was “Cool! I can use it like a speakerphone!”. Please do tell us if/when that functionality comes. Thanks for your work so far!